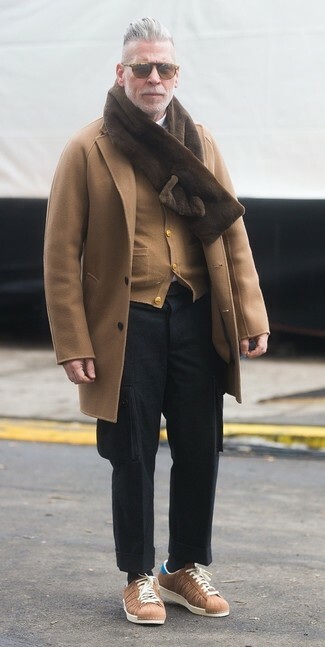 As you can see here, being a dapper dude doesn't take that much work. 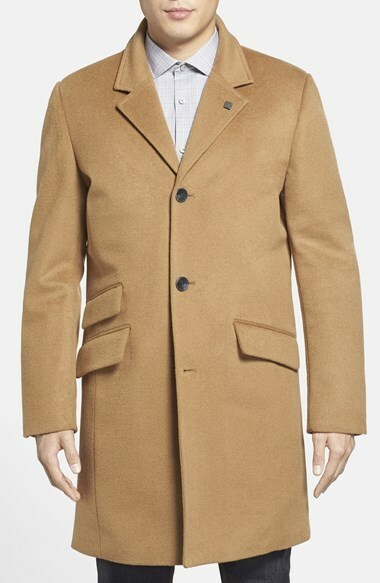 Just try teaming a Vince Camuto topcoat from Nordstrom with blue jeans and you'll look awesome. To bring out the fun side of you, round off your look with charcoal suede high top sneakers. 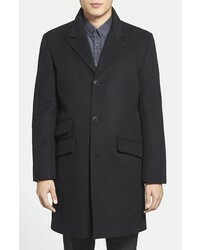 For a nothing less than incredibly stylish outfit, pair a Vince Camuto topcoat from Nordstrom with a navy check suit. 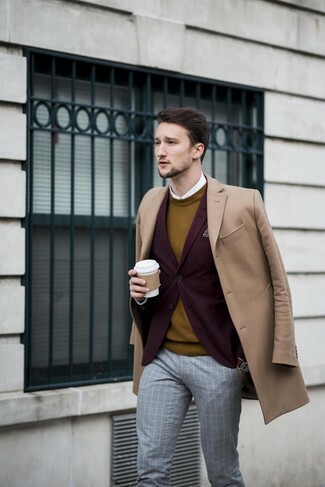 For something more on the daring side to complete this look, make tan leather double monks your footwear choice. 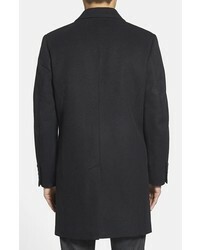 Try teaming a Vince Camuto topcoat with black dress pants for a sharp classy look. This combo of a Vince Camuto Topcoat from Nordstrom and black jeans can only be described as incredibly dapper and casually neat. Bring a hint of stylish nonchalance to with a pair of dark brown leather desert boots. 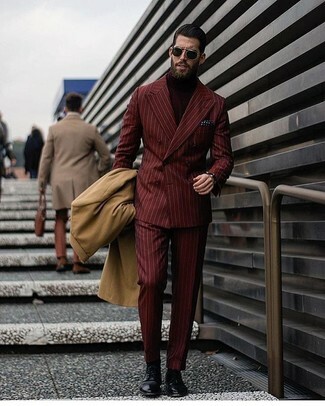 For a nothing less than incredibly stylish look, team a Vince Camuto topcoat with burgundy vertical striped dress pants. 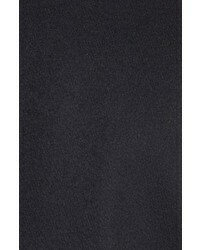 When it comes to shoes, this getup is complemented nicely with black leather dress boots. 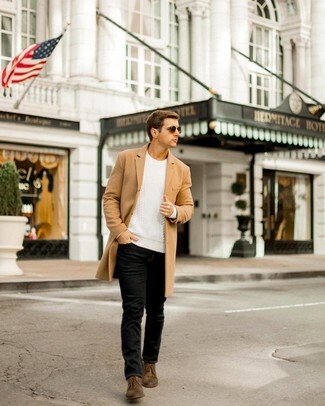 This combination of a camel overcoat and black skinny jeans is very easy to put together and so comfortable to sport all day long as well! 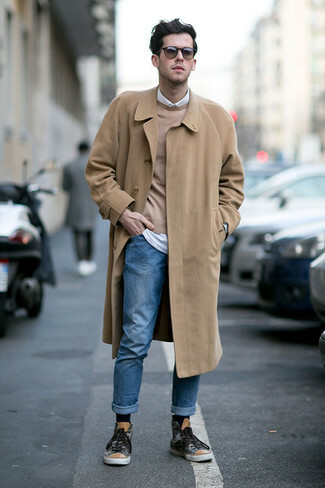 When it comes to shoes, this ensemble is round off nicely with black leather casual boots. 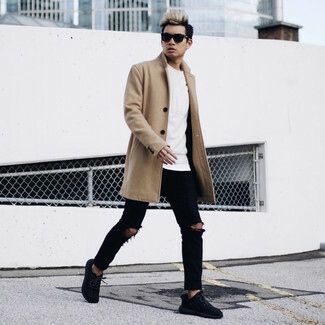 This pairing of a camel overcoat and black ripped skinny jeans epitomizes versatility and effortless menswear style. Take this ensemble in a more laid-back direction by finishing off with black athletic shoes. 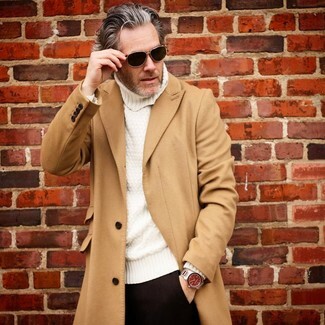 This pairing of a Vince Camuto topcoat from Nordstrom and black wool cargo pants is so easy to pull together in next to no time, helping you look dapper and ready for anything without spending a ton of time digging through your arsenal. 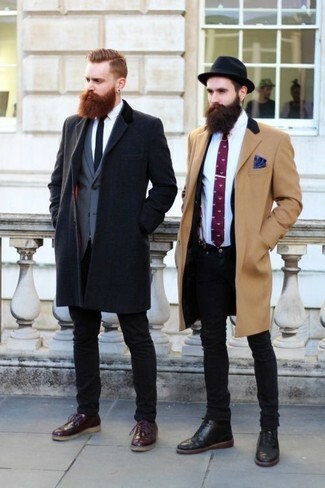 For something more on the daring side to complete this outfit, throw in a pair of tan low top sneakers. Go for a Vince Camuto topcoat from Nordstrom and grey check dress pants for a sharp, fashionable look.